What does? 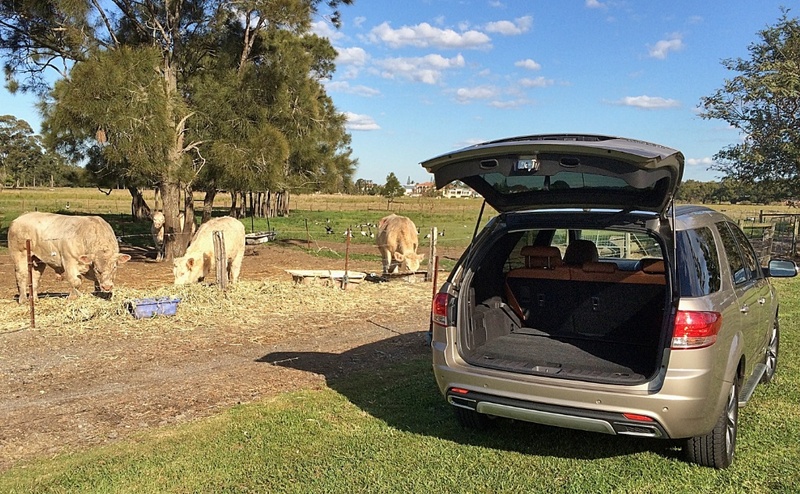 I’ll tell you, probably Ford Australia’s smartest indigenous product idea ever! The Ford Territory was a brilliant concept, well designed, well executed and very poorly marketed. It deserved to do better, much better. 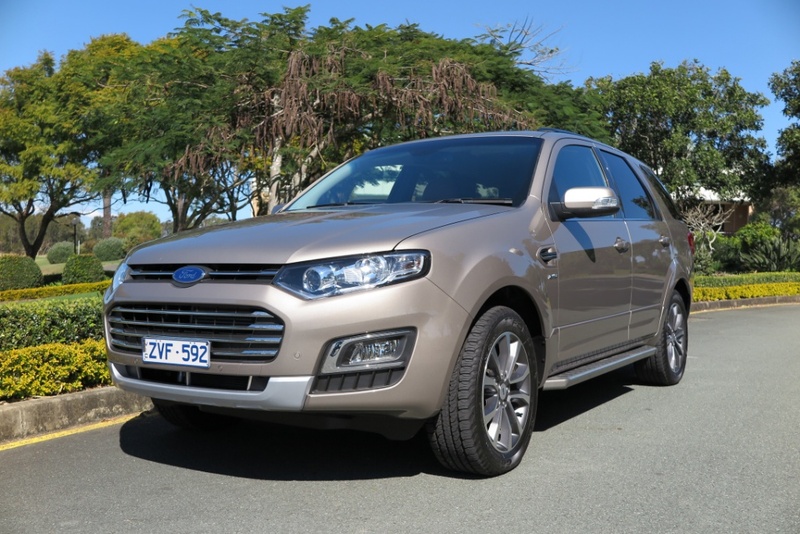 Conceived as 4WD or RWD, powered by Ford Australia’s famous inline six cylinder engine, and brought to market with excellent finish and materials, and genuinely car-like ride and handling. So what happened? Why didn’t the Territory establish sales records? The answer? 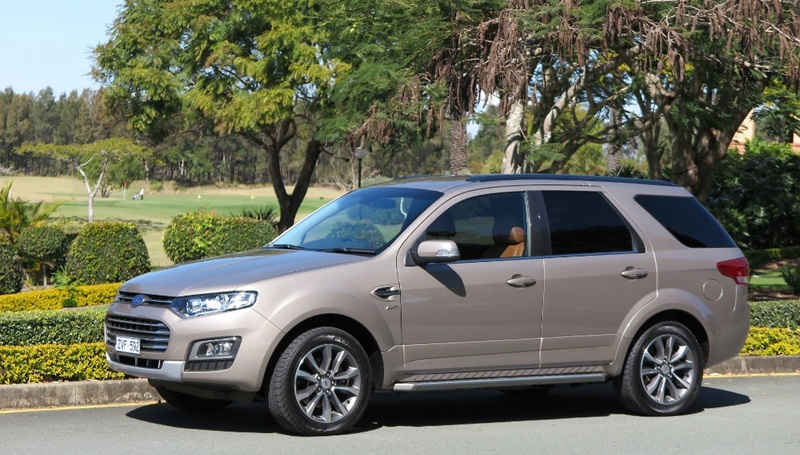 Ford Australia produced the car, then dropped the ball. 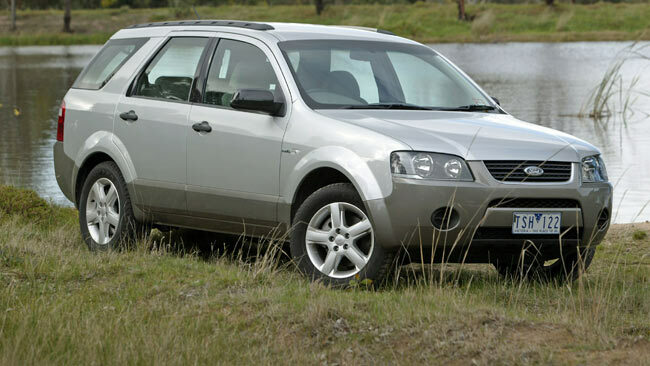 The company spent over $500 million developing Project E265, which in its launch year, 2004, became the first SUV to win the Wheels Car Of The Year award. 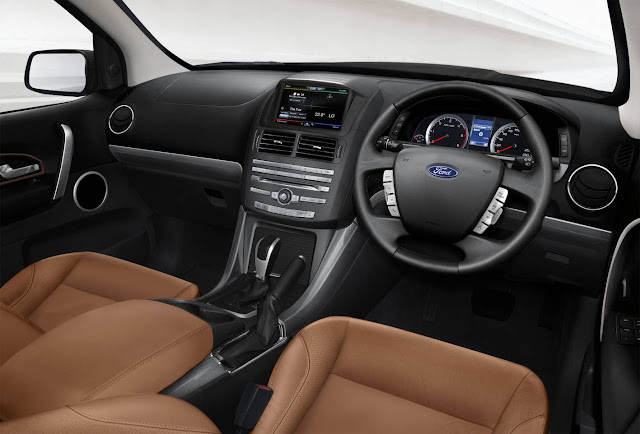 Ford Australia’s management was hopeful that the combination of a pitifully-small launch budget, the COTY award, and good reviews in the media would be enough to succeed. Ford Australia's problem was, money! The paucity of funds meant it had to focus on selling Falcons (its Bread'n'Butter product). So there was precious little left over to market a whole new product line. Thus, the marketing budget was miserable, and no serious marketing and advertising took place until it was too late. 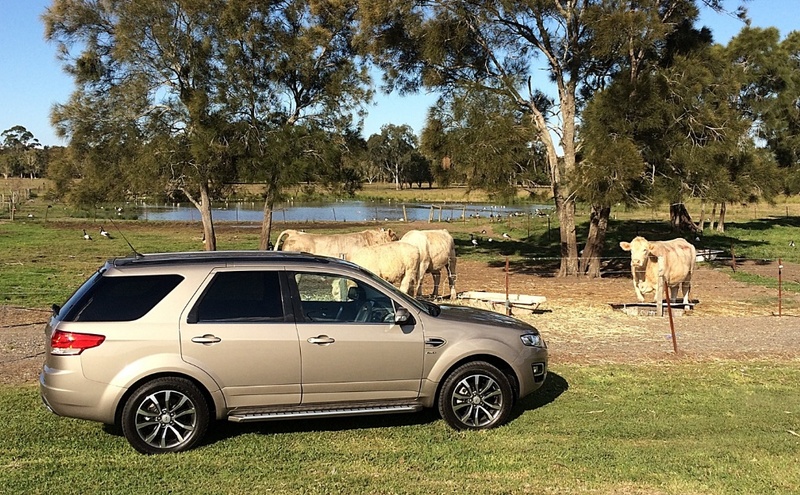 In 2007, Ford Australia finally put some decent money behind the Territory to bolster sales, but by then it was too little, too late. Ford Australia’s stop'n'start Territory marketing allowed too many competitors to become established in the sector, making Territory’s sales battle impossible to win. The marketing budgets were turned on and off like a tap, as Ford Australia struggled to keep Falcon front of mind for Australian consumers. 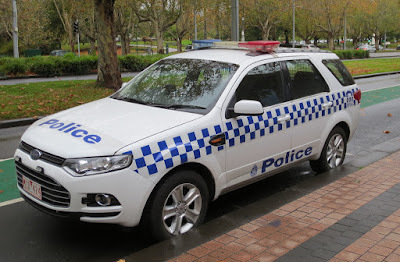 The Territory was willingly taken up by Police forces and Paramedics. 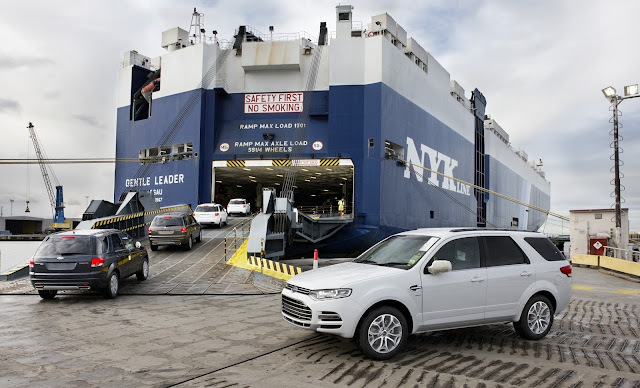 Small numbers were also exported to South Africa, New Zealand and Thailand. In 2016 the Territory goes the way of the Dodo and the Falcon, and what a crime. It is a brilliant vehicle. Check out the sales charts from 2004-2013, and you can see the inconsistent sales numbers match the on again-off again marketing spend. Sadly in 2014 only 9828 Territorys were sold. Also late to the party was Territory with a diesel engine. Ford should have offered an oiler at launch, but one didn’t appear until Territory was in its death throes. 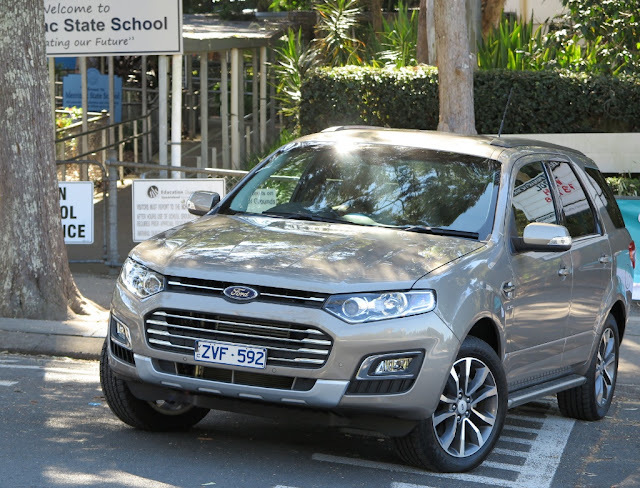 When you drive the turbodiesel version, you can’t help but wonder about Ford Australia’s lack of committment to this car. It’s a truly great SUV! 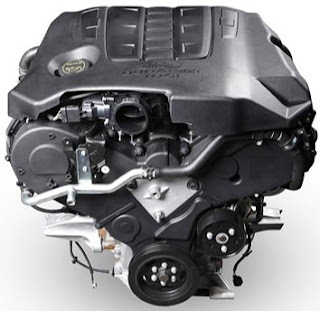 The diesel engine began life in the woods near Belchamp in France, created by Automobiles Peugeot, and was sold to Ford Motor Company for use in a wide range of global Ford models, and Land Rovers as well. It’s quiet, rugged and economical, and in the Territory effortlessly provides smooth and efficient performance. After I’d travelled the first couple of kilometres in the Territory diesel, I had to stop and look under the hood to make sure it wasn’t a petrol version! It is so smooth, so quiet and so willing, I believe it has to be the automatic choice. Speaking of automatic, the Territory diesel boasts the same ZF 6-speed auto box I recently sampled in the Falcon XR 8. Again, the programming of the shift points results in a very capable transmission. In addition there's the impressive Microsoft-based Sync 2 system for Bluetooth, audio, and voice controls. I once drove a Territory off-road in 2006 and whilst it won’t challenge the complete competence of a Range Rover, it is capable and manages most off-piste activities well. Not that many Territorys will spend very much time off the bitumen, or in the home paddock! Now, the school run? That’s where its strengths lay. 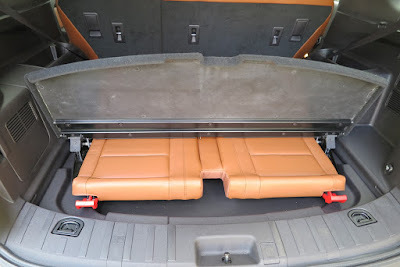 Women love the high seating position, the capacity, the comfort and the fact that it’s the most un-SUV-like vehicle in the sector. 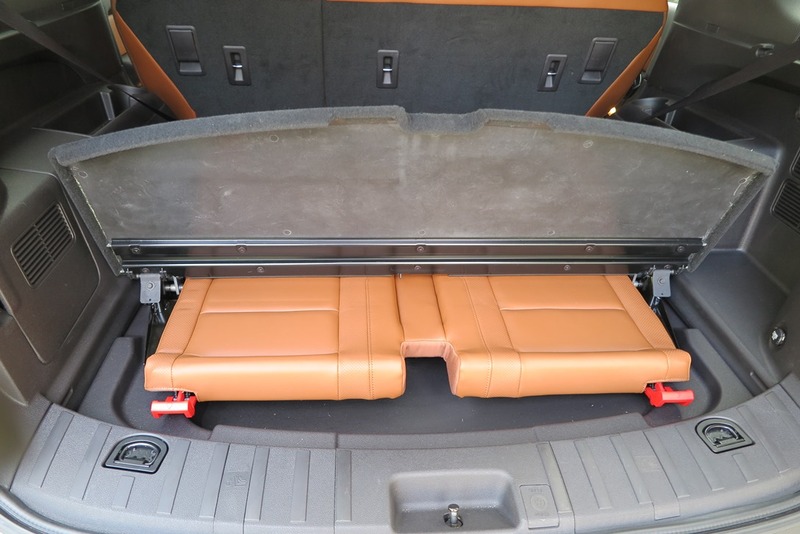 Plus, there's the beautifully-resolved folding third row of seats, to create a seven-seater. Brilliant! The interior, especially on the Titanium version I am driving, features excellent materials and world-class fit and finish. I consider that Territory is so good it should dominate more of the large SUV sector than it does. 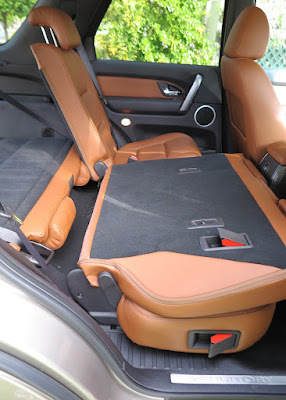 It really does drive like a car, and I can’t believe I’m saying this, but it is an SUV I might even consider owning! Especially the diesel. I’d like to witness a rush on Ford dealer showrooms, and see canny SUV buyers snap up the last remaining examples in such numbers that Ford Australia might have to boost its planned run-out production volumes.